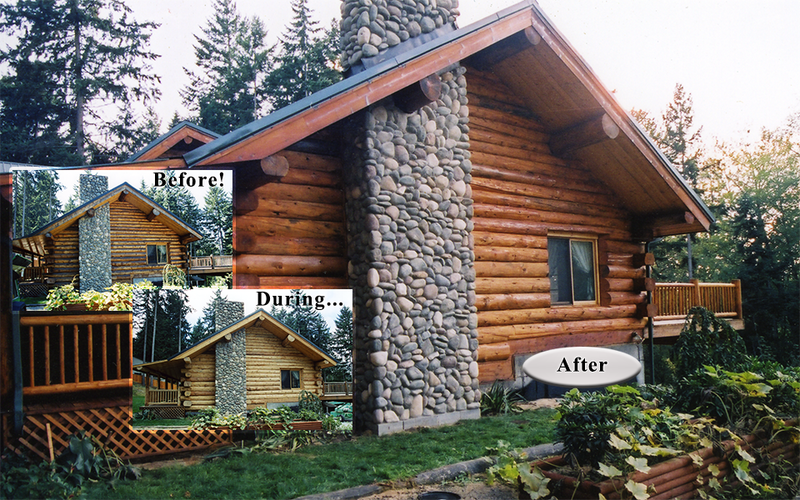 Dr. Bennett has this beautiful handcrafted Wiens log home in Packwood that we help him maintain. This home sits in a prairie and has no protection from the sun, wind, snow, or rain in this location, as a consequence this log home really takes a beating from mother nature! Lovitt’s Natural Gold oil based wood finish has held up to the harsh environment this home experiences at this high altitude location. Call us now to get your home restored and protected with Lovitt’s Natural Gold wood finish! When wood is left to the elements, this can be the result! Call us now for a free estimate.